The mission of the Pan-American Association of Ophthalmology (PAAO) is the prevention of blindness through education and cultural exchange among ophthalmologists in the Western Hemisphere. The association strives to provide continuing education for ophthalmologists, programs on the prevention of blindness, and promote cultural exchange. PAAO was previously using iMIS as a database solution but the version was outdated and becoming very costly. The staff found the idea of change to be very daunting, but it was time to choose a better database solution that would meet the unique needs of their organization including managing many large events with the option to also manage abstracts. All of this, plus general day-to-day needs, on a limited budget. They researched different solutions and found CiviCRM which they liked since it was open-source. Initially, they considered connecting another open-source abstract management program with CiviCRM, but instead decided to manage abstracts using a Drupal database integrated with CiviCRM. Krista Jonas, Director of IT for the PAAO, knew that a service provider who specializes in CiviCRM was the best option to ensure continued maintenance and support. Cividesk was the most responsive of all the CiviCRM service providers she contacted: “They were upfront and on the ball”, she explained, “and they work with you to make sure you understand the process, which is important for less technical staff. Cividesk is also extremely fair in their monthly service pricing and for custom development projects”. The use of the Drupal database, Drupal webforms and CiviCRM has streamlined the abstract management process which used to involve multiple steps and an Access database. Abstracts can now be data checked and it’s easy to search within the list and email speakers using CiviMail. A Member Portal was developed as well as part of the integration of CiviCRM into Drupal. Contacts can create an account, sign up for membership, submit their abstracts, print out a membership card and membership materials. This portal has been very useful since the organization no longer has to send membership information internationally; new members print the information they need, saving the PAAO on postage and printing costs as well as the time involved in sending the membership packets. The PAAO needed a database that would be able to manage large events, but also offer the option to manage abstracts. After researching what other organizations do to handle the submission and management of abstracts, they found that many larger organizations have a custom proprietary solution. Some also use abstract management programs that are separate from their CRM but at a cost of $40,000 per event which was not a viable option for PAAO. In addition to managing large events and abstracts, PAAO needed the ability to manage memberships and processes needed to be streamlined, costs reduced wherever possible, and the staff needed to be able to easily use and operate the new system. Implementation and continued support needed to be within a limited budget. The board also wanted to have customized reports to review. “I appreciated that Virginie (co-founder and principal of Cividesk) had run a non-profit in the past and she understood the bottom line of reporting to the board” said Krista. Cividesk implemented customized functions such as Contacts, Contributions, Events, Memberships, Email Marketing, and Reports in CiviCRM. As with any big change, there were challenges from the beginning, starting with the fact that the PAAO staff members were not very receptive to the idea of switching to a new database. Then the transition to CiviCRM and importing the data from iMIS was difficult due to the amount and complexity of the data. It took longer than expected, but “Cividesk staff worked over the holidays to import more than 50,000 records and legacy data dating from the 1960s. There was a high volume of membership information and membership types to import, but Cividesk made sure that the data was where it needed to be” said Krista. Cividesk provides affordable CiviCRM services for nonprofit organizations including implementation, training, data import, hosting, maintenance and support. We are headquartered in Denver but also have a presence in India in order to best support our customers in various time zones and to answer our customer’s needs for software development and customizations. Cividesk was founded in 2011 on the premises that CiviCRM users will need on-going support and best practices sharing to fully realize the potential of this incredibly rich software. 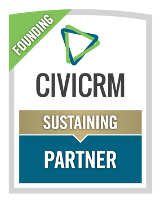 Over the years Cividesk has grown to become one of the leading Software-as-a-Service providers for CiviCRM. We do have customers in more than 25 countries or states around the world, spanning all types of nonprofit organizations – charitable, humanitarian, advocacy, religious, political, governmental and trade-oriented. We provide you with a fully configured CiviCRM, take care of all the technology behind the scenes, and are always available to answer any questions you might have. No surprises: hosting, maintenance, mentoring and unlimited customer support are bundled into a fixed monthly subscription so you can budget your expenses in advance. "When asked why she decided to use a service provider instead of managing CiviCRM on her own, Krista explained that self hosting CiviCRM could be difficult, even with technical expertise. When you have a lot of contacts, it can be overwhelming for a non-profit to self-host. Cividesk is using great technology for their servers, they know what they are doing and have experience running a non-profit; it’s the best of both worlds. There are lots of options and different ways to configure CiviCRM. It’s way easier to have somebody who has done it many times. You can read all the documentation but nothing can take the place of experience. You are talking about your data, it’s the most important asset of your organization and you can’t take the chance of making mistakes! Even more for non-profits, since you are working to build relationships with others. Staff needs to be focused on their constituents’ needs rather than technical issues.” Krista likes the ability to customize so many features and tailor CiviCRM to fit what she is doing. “There are a lot of great things in CiviCRM and lots of room for development and customization”, she notes." CiviCRM was the right choice for PAAO because it is open source software and the customizable capabilities allow them to manage all of their needs in one place.